← How to convert from Excel Spreadsheets to high quality GIF format? 1. Add -nofontembed parameter, this parameter doesn't embed fonts in WMF/EMF to PDF conversion. 2. Add -useprinter parameter, this parameter does convert EMF file to PDF file by Windows Printer. 3. Add -webkit2 parameter, this parameter does use a new Webkit Engine to render HTML file or URL to PDF file. 4. The new version doesn't require administrator privilege during HTML to PDF conversion, you can run it in limited user account properly. 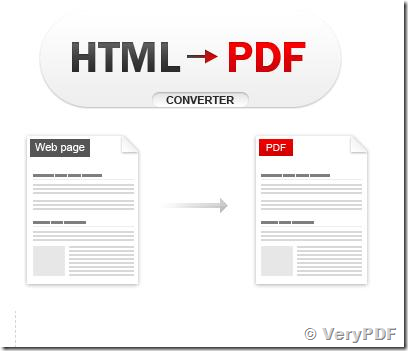 "HTMLPrint to Any Converter Command Line", "Document Converter (docPrint Pro)" and "VeryPDF Doc Converter COM" products are all using virtual printer to convert web pages to PDF files, they are using MS IE (MS Internet Explorer) to print web pages to Windows Printer and create PDF files. If you encounter any problem with htmltools.exe application, please feel free to let us know, we will assist you asap. How to convert mhtml to postscript? How to insert PDF pages and convert MHTML to PDF? How to rotate the page while converting wmf to tif? This entry was posted in HTML Converter (htmltools) and tagged html converter, HTML to image, HTML to PDF, htmltools, web page to image, web page to PDF. Bookmark the permalink. I want to purchased your HTML to PDF convertor java library. htmltools.exe is a command line application, you can call it from your Java code to convert HTML files to PDF files easily.